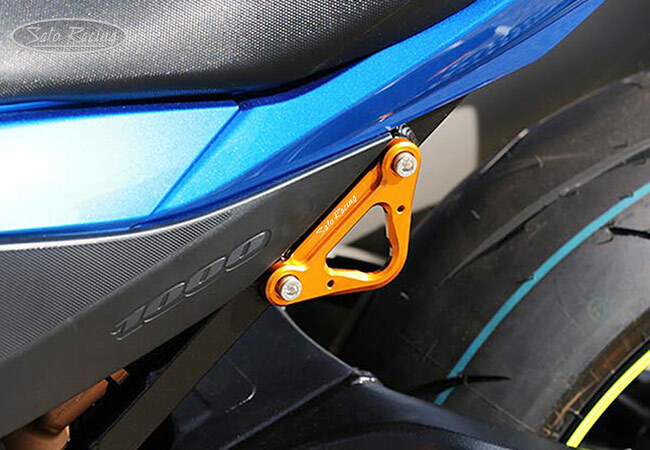 If you remove the L-side passenger peg bracket on your 2017-18 GSX-R1000, this stylish aluminum Racing Hook fits nicely over the exposed frame holes and provides a sturdy tie-down loop useful for strapping down your bike. CNC-machined out of high strength billet aluminum with your choice of Black or Gold anodized finish, with stainless steel bolts. 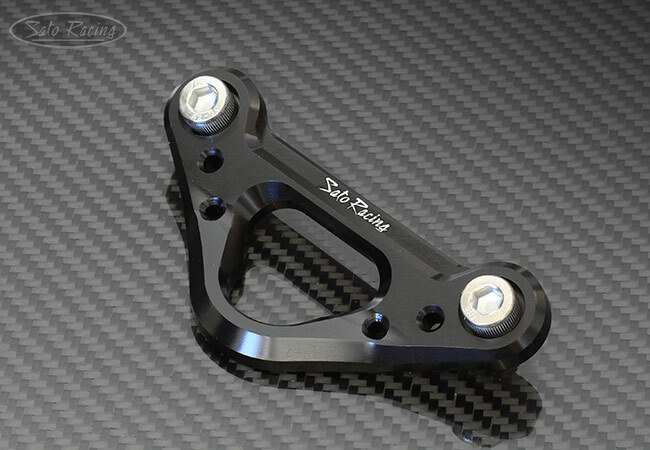 Although designed for the 2017 GSX-R1000, this Racing Hook will also fit some earlier Suzuki models with the same bolt spacing, including 2001-05 Bandit 1200/ GSF1200/S. 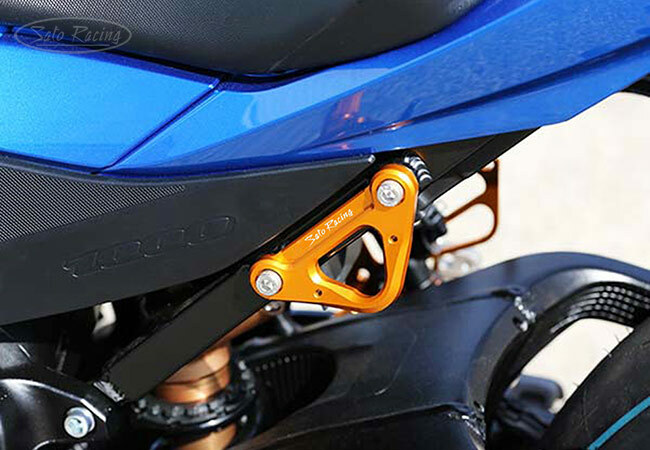 the stock exhaust hanger bracket, such as if you have an aftermarket shorty-style exhaust.